Mint & Blueberry Hot Chocolate mix is created for overall health and wellbeing. This Hot Chocolate mix contains Milk Thistle which has a restorative effect on the body. 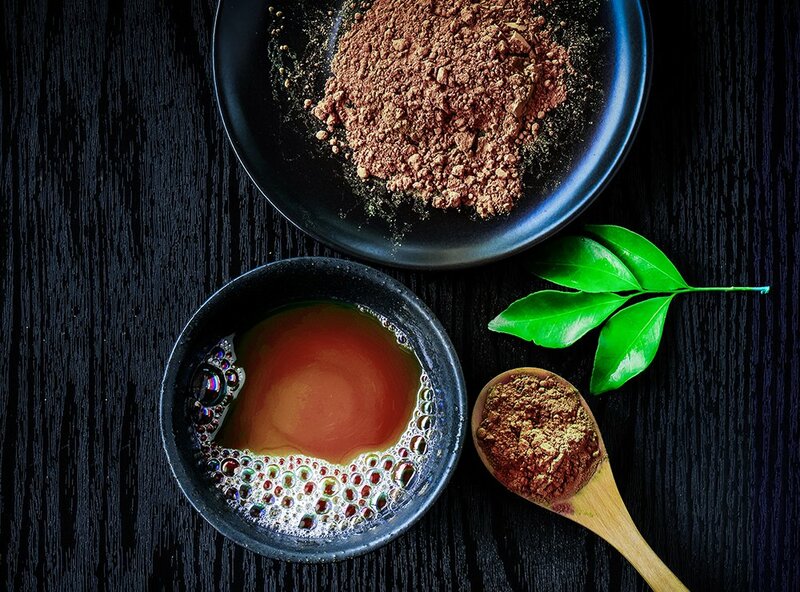 It helps to flush out toxins from the body, tones the liver and kidneys and acts as a powerful anti-oxidant to draw out disease and cancer causing free radicals. Mint & Blueberry Hot Chocolate mix is created for overall health and wellbeing. 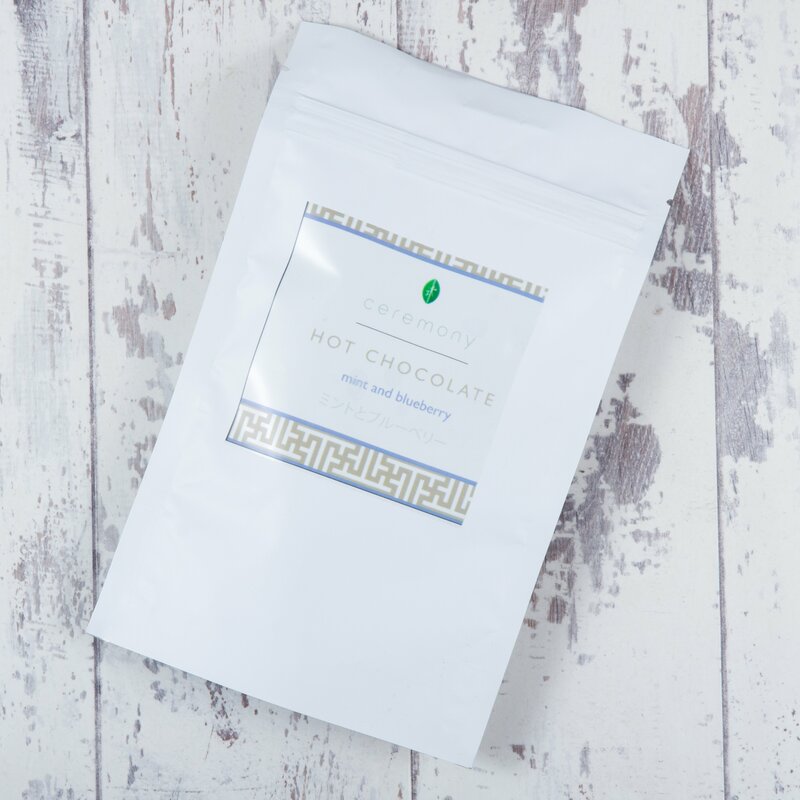 This Hot Chocolate mix contains Milk Thistle which has a restorative effect on the body. 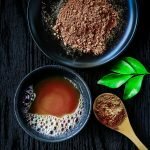 It helps to flush out toxins from the body, tones the liver and kidneys and acts as a powerful anti-oxidant to draw out disease and cancer causing free radicals. The benefits of the Milk Thistle are supplemented by the superfood Moringa which is an anti-microbial and helps to reduce inflammation, improves digestion and functioning of the cardio-vascular system, as well as maintain the balance of hormones. It helps to delay and reverse the effects of natural aging process. Just mix it with water or milk for a great hot or cold drink or sprinkle over your salad, dessert or soup to give your body all the essential nutrients it requires to stay healthy. Why take a bunch of vitamins and pills to make sure you’re getting all your nutrients when you can mix this in your food and enjoy your day without hassle? It’s so easy to use and you’ll feel a real difference in how your body operates. Best of all, it’s affordable—a triple win in my book. There was a party I really wanted to go to, and I wanted to go in a very tight dress. When I tried it on, I felt so unattractive because of my bloated stomach. I used this powder for a few days, and noticed that my stomach didn’t bloat as much, and I felt way more comfortable in my dress. Result? I looked great! Milk has always bothered my stomach, though I have never been diagnosed to be allergic to it. One night, I mixed in this powder while eating ice cream and I noticed my stomach felt so much better after I was done. No stomach cramps, not bloating. I never felt that good! I’ll be using this every time I have desert! I feel better than I have in years. I use this powder with my breakfast and notice that during the day I don’t feel bloated or gassy. My digestion is great, my energy levels are high—it’s like I’ve taken off ten years from my life! I feel amazing. I’m really big into making sure everything that goes into my body is what I need and will help me in the long run. It’s so easy for me to forget my vitamins at home, or to put off taking them because I don’t have water. With this powder, I just keep some at work and then am able to add it to my morning coffee whenever I get there. Love how easy it is for me to stay healthy! I use this powder to help with some digestive issues I have. Usually it costs lots of money and takes many doctor’s appointments to get my stomach under control, but after using this powder for only a few days, I’m already seeing a huge difference. I can eat so much better now, and I don’t suffer from bloating or sickness. I won’t be stopping anytime soon! There are so many different kinds of products out there—it’s such a relief to finally find one that works, and also makes me feel more energized and healthy. I used to feel really sluggish after eating a big meal, but if I sprinkle this powder on my food during my meal, I notice I feel much better after. This stuff is great! I love how easy it is to use, and I love how much better I’ve been feeling lately—no bloating and no indigestion! Add it to your morning yogurt, or drop it in your lunch time soup—it’s the easiest way to make sure you’re getting all the proper nutrition for your body.